Recommended for you – it’s a term seen on mobile phones, in apps, social media sites, search engines and all across the internet. 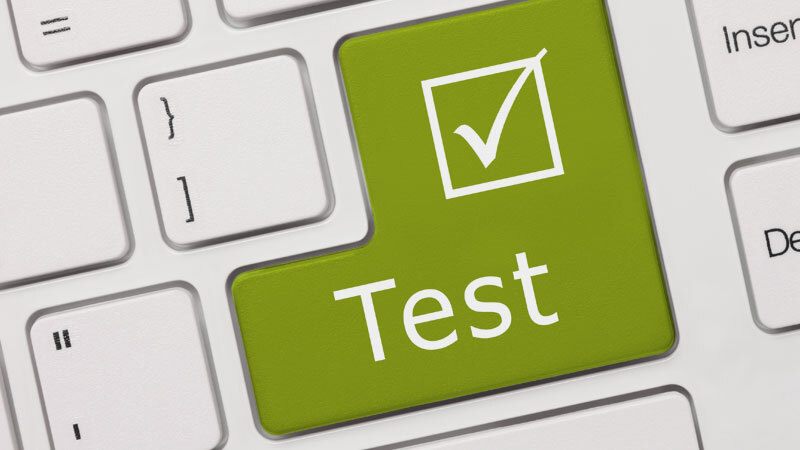 However, with recommendation engines appearing more and more frequently, many are becoming easily ignored. You may see it, but the widgets are starting to blend in with other noise that you’ve learned to tune out. Similar to banner ads, website visitors are becoming immune to right rail recommendation widgets. It has been said that you are more likely to survive a plane crash than to click on a banner ad—and in the near future, the same phenomenon could come true for recommendation engines. Nordstrom Data Lab is an example of a brand’s initiative to use data to explore innovative ways of refreshing the typical recommendation engine. I was lucky enough to hear the Nordstrom Data Lab’s presentation at the Strata + Hadoop World conference this past October in NYC. The Strata + Hadoop World Conference is a unique opportunity for data architects, developers, and analysts to come together from across the world to learn and be challenged by each other. The Nordstrom Data Lab, a team comprised of strategists, analysts, programmers, and developers, has transformed the normal “We Recommend” call-to-action to be something more personal to their brand. Nordstrom department stores uphold a celebrated reputation for having great stylists in-store, helping shoppers make smart fashion decisions. 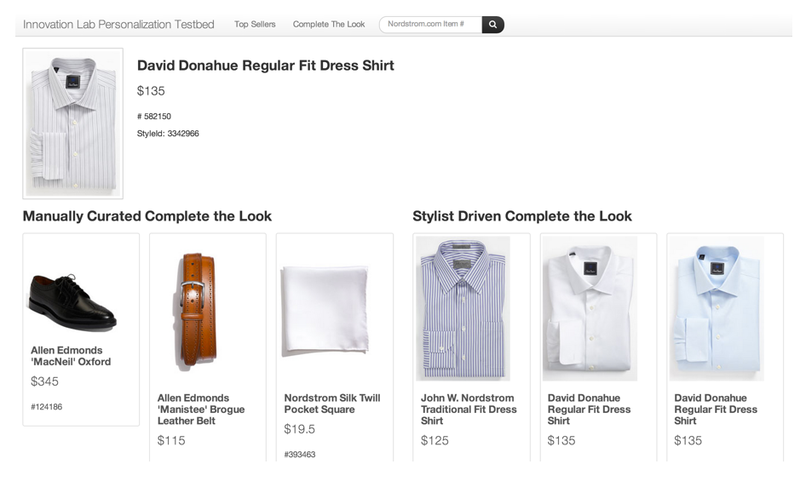 Harnessing the reputation of the Nordstrom stylist, the Nordstrom Innovation Lab created the “Our Stylists Suggest” recommendation engine. The “Our Stylists Suggest” recommendation engine’s algorithm was created using pre-existing customer data by exploring past customer databases to find highly correlated purchases. When a shopper buys a dress, is the shopper more likely to also purchase a purse or a jacket? The “Our Stylists Suggest” algorithm used data to determine what a customer was most likely to buy next. Testing the algorithm, “Our Stylist Suggest” turned out to be significantly more effective than manually curated recommendations. The algorithm found that when buying a man’s dress shirt, a shopper is more likely to purchase several other dress shirts, rather than cuff links and a belt. Previously, the manual recommendation would have suggested complimentary items (i.e., the belt and cuff links) instead of synonymous items (i.e., several other dress shirts). When comparing the “Our Stylists Suggest” algorithm to manually curated recommendations, the algorithm was significantly more effective in driving click-through performance and add-to-bag performance. Nordstrom Data Lab was also looking for ways to help a visitor interact more with their data. Tracking purchases across a visitor’s history allows Nordstrom to compile the most common colors bought by a shopper. 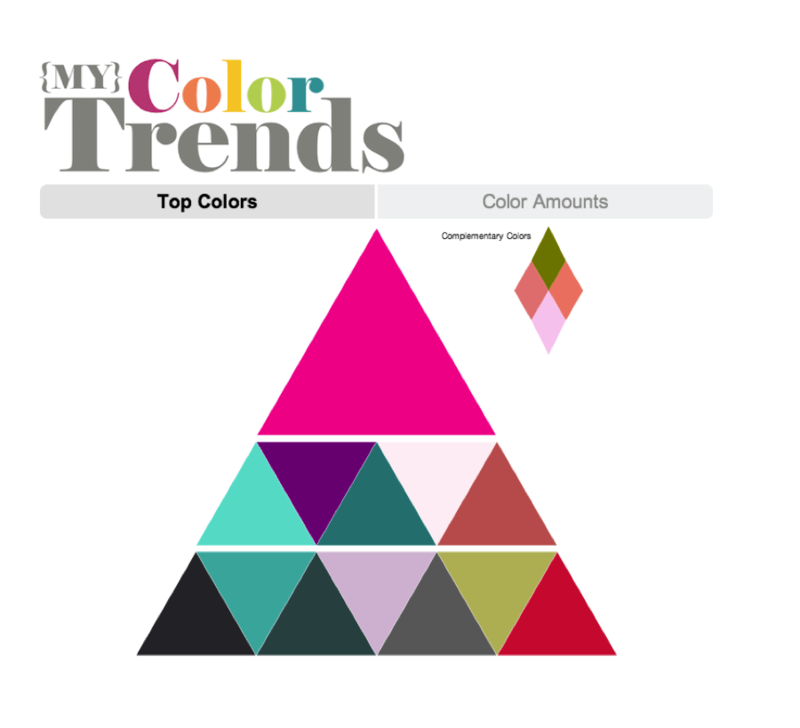 Using this data, they created the “My Color Trends” recommendation engine. “My Color Trends” allows a visitor to understand his or her past purchases and offers suggestions based upon what is already in a visitor’s closet. The recommendation engine also gives suggestions for clothing in complimentary colors. 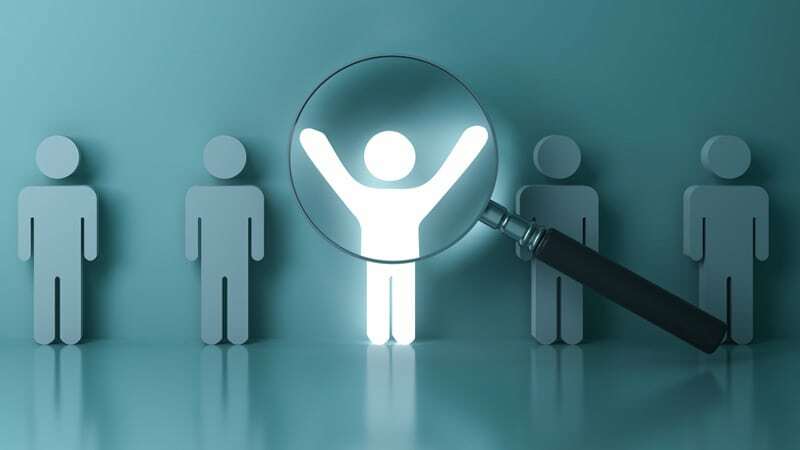 In general, brands can better utilize web data to help visitors interact more effectively with their personal data and to understand their own and others purchase behavior. 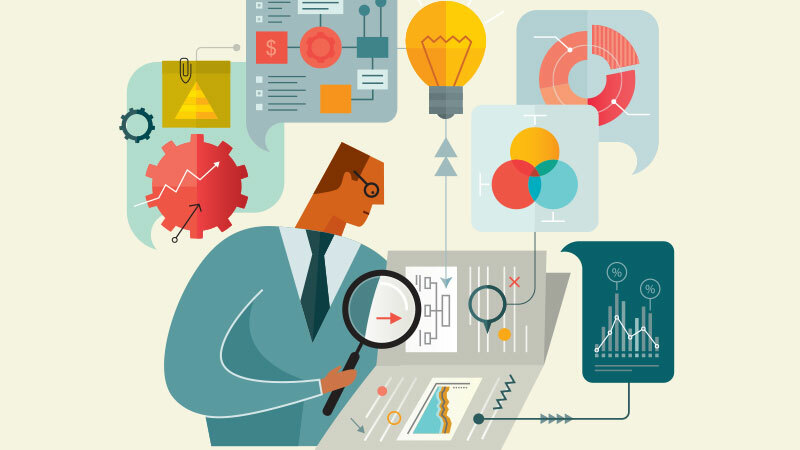 By giving this data back to individuals, they are made more informed and effective consumers. To learn more about “Our Stylist Suggests” and “My Color Trends”, check out this presentation.